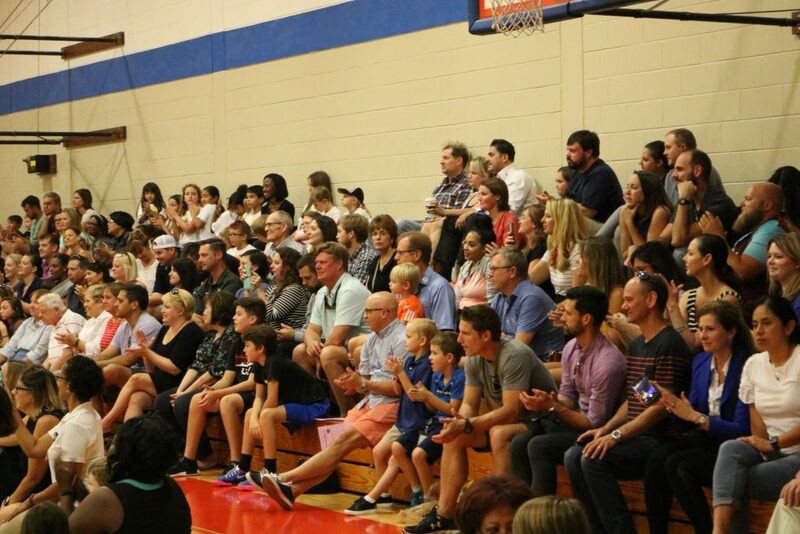 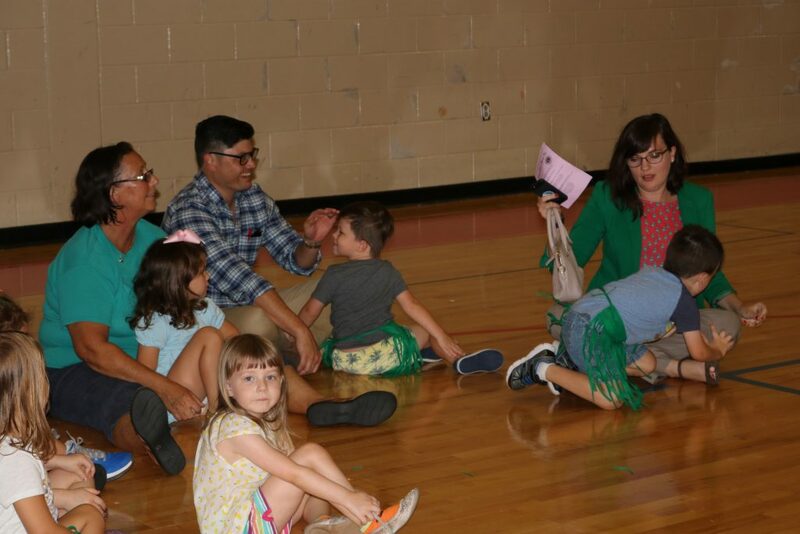 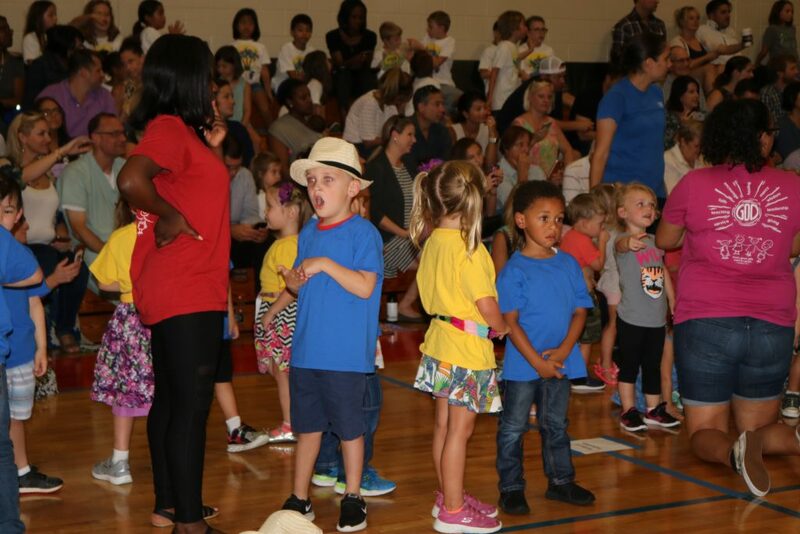 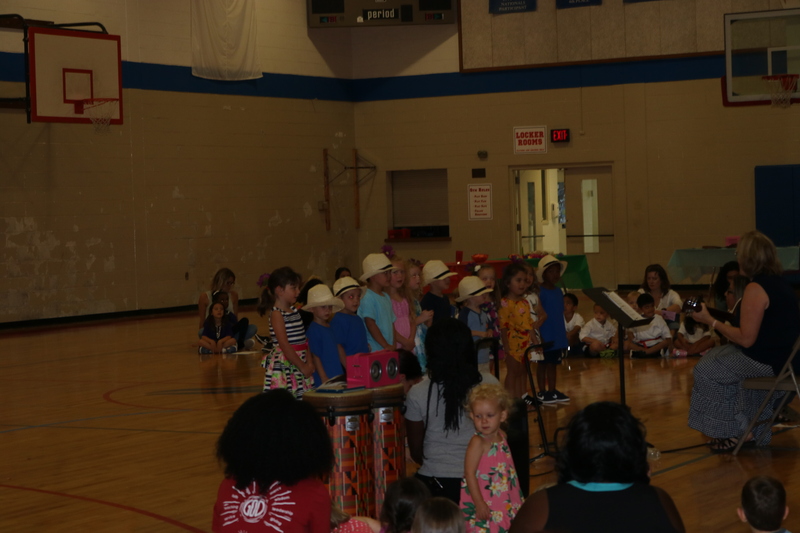 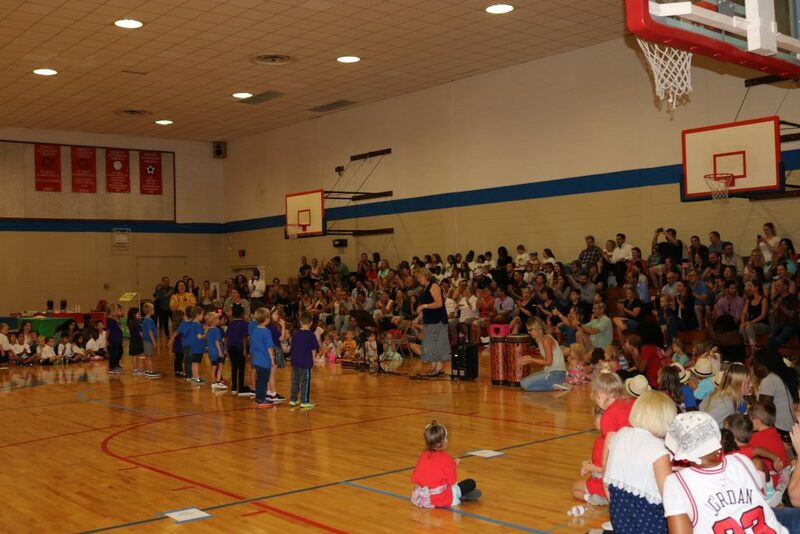 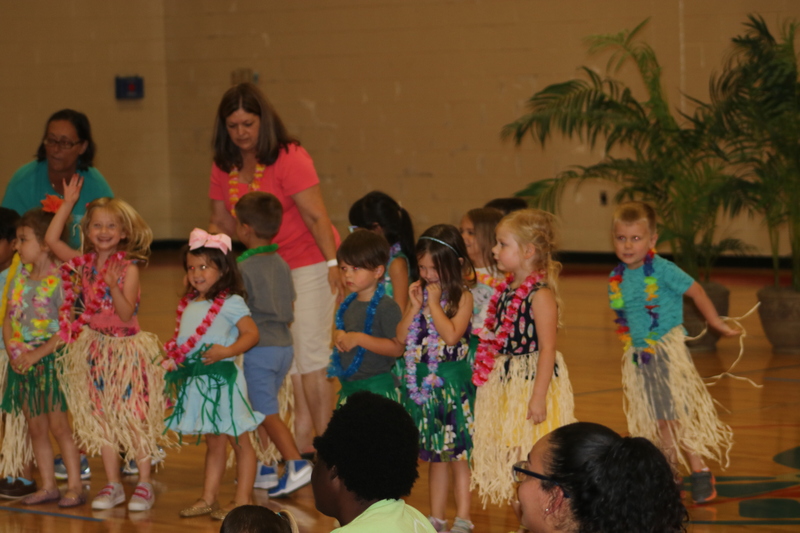 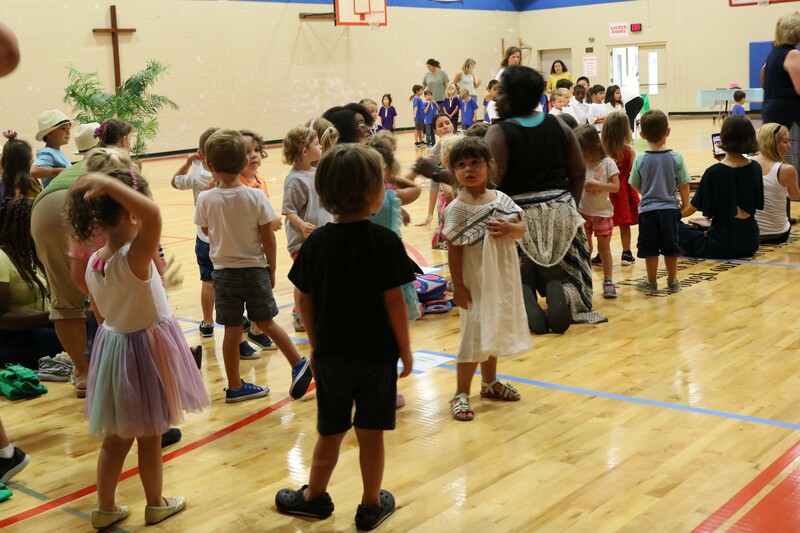 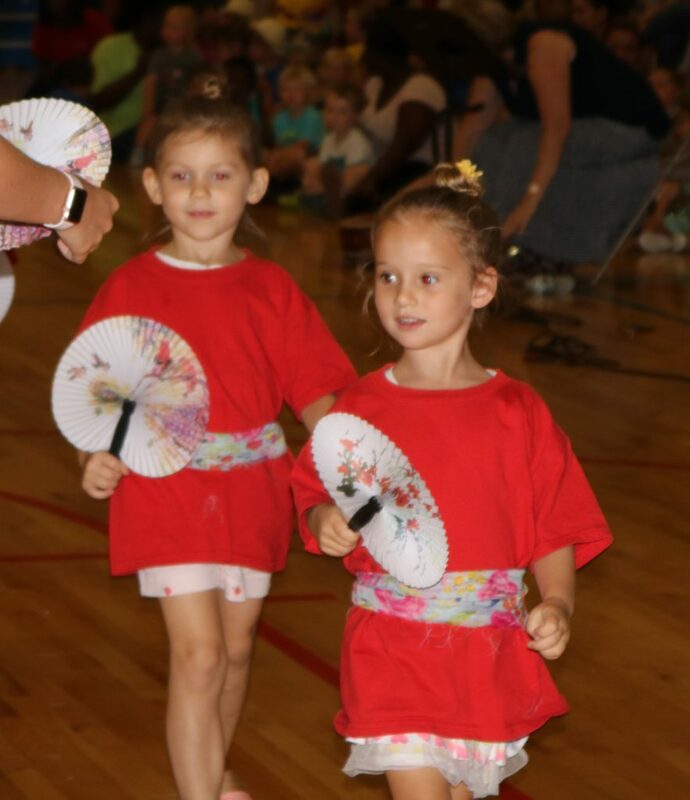 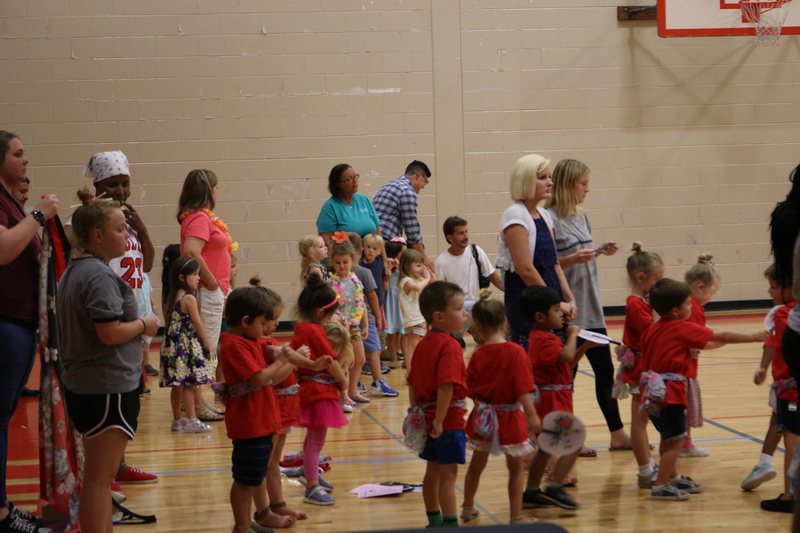 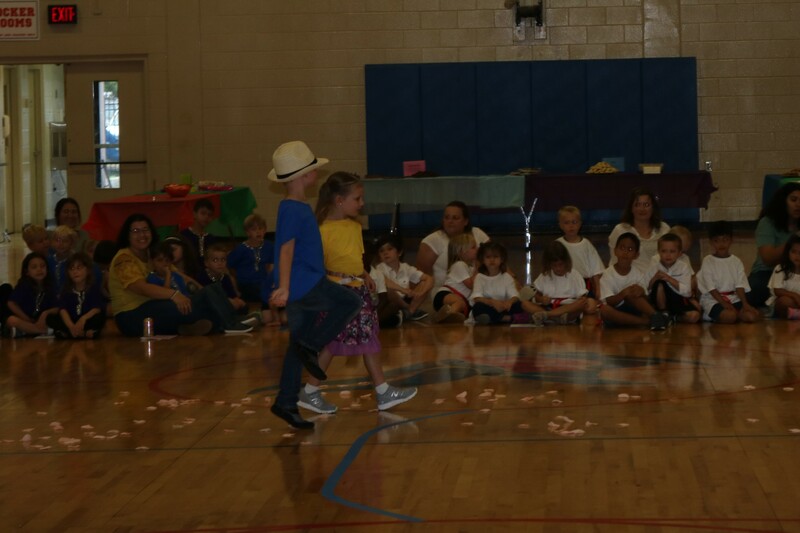 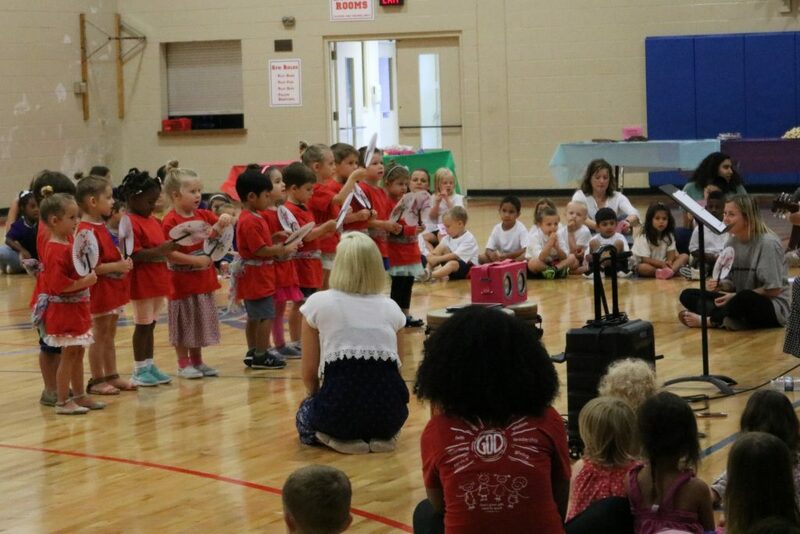 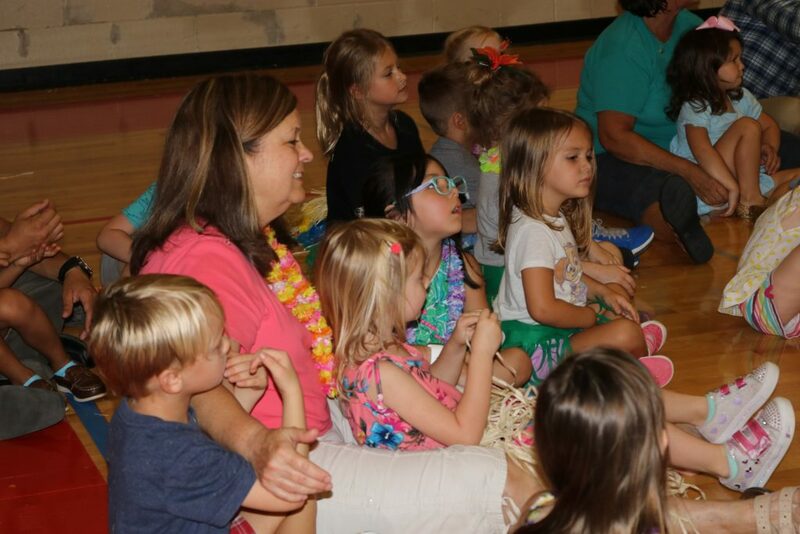 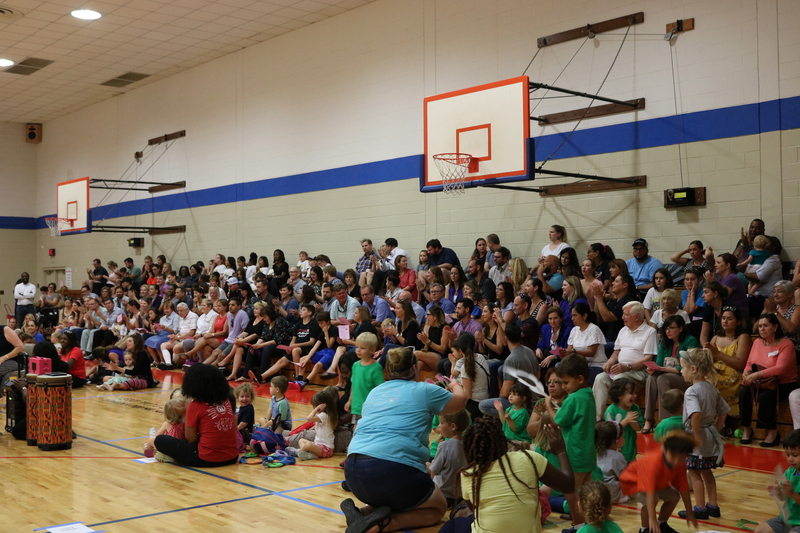 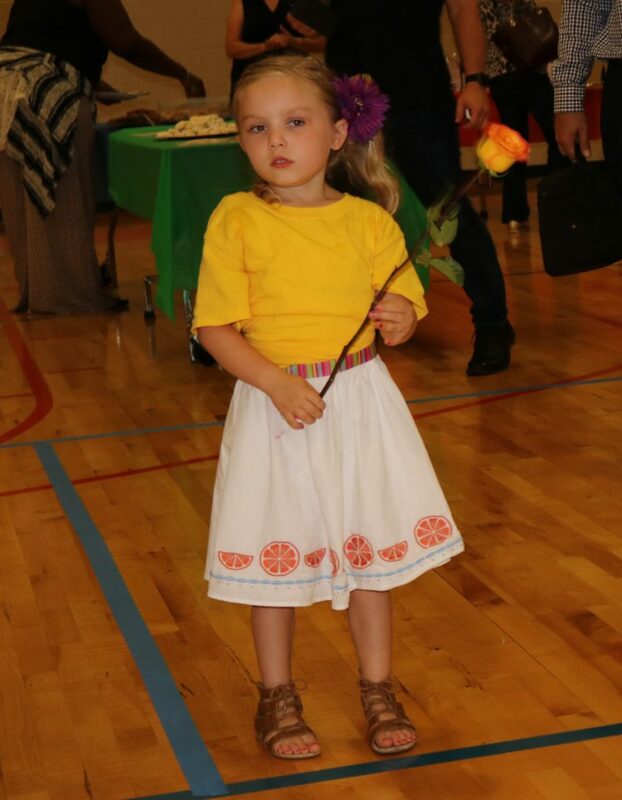 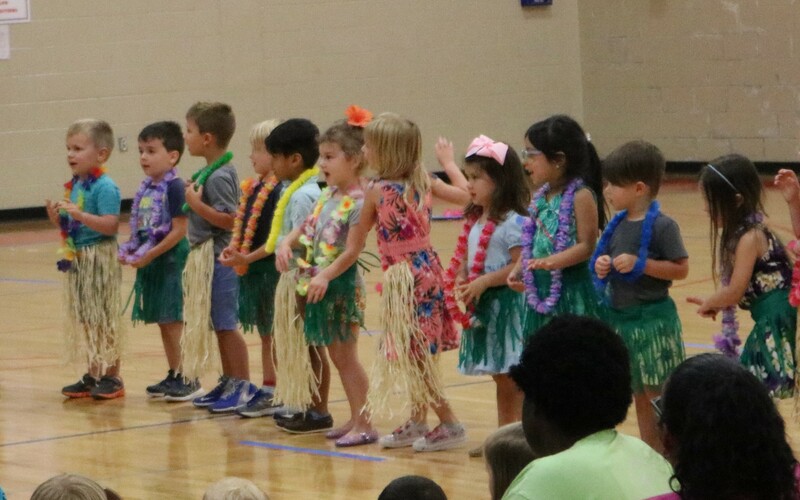 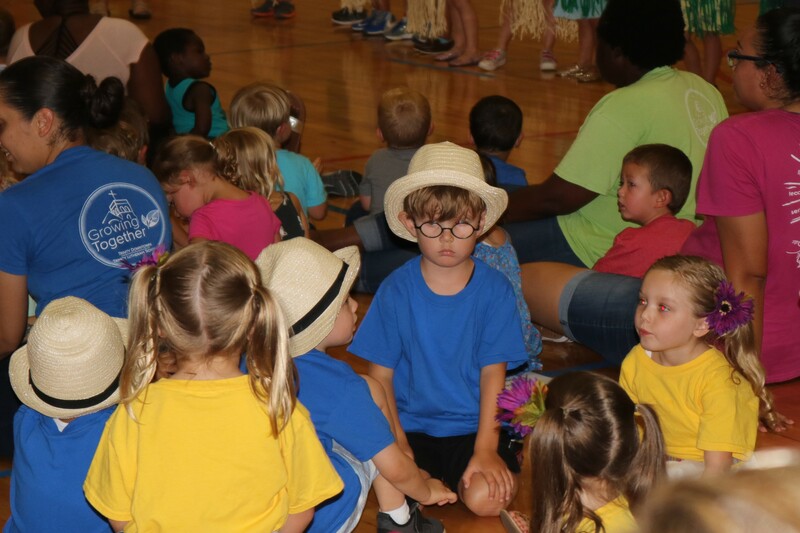 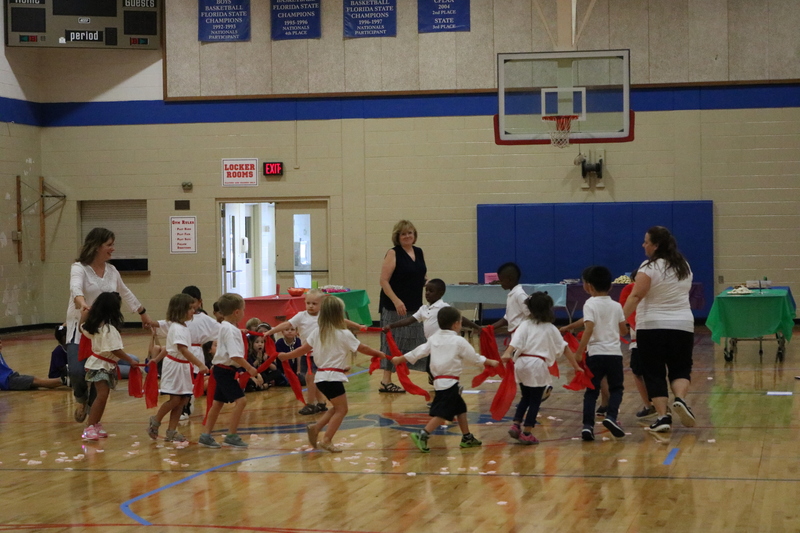 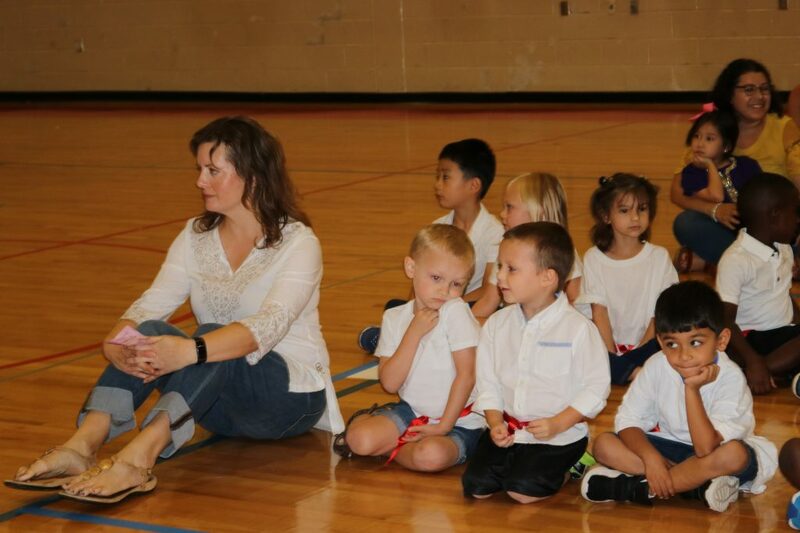 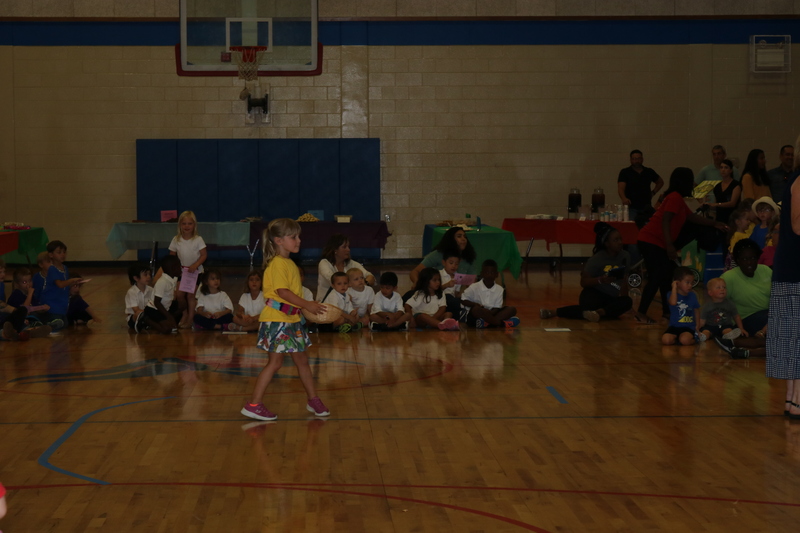 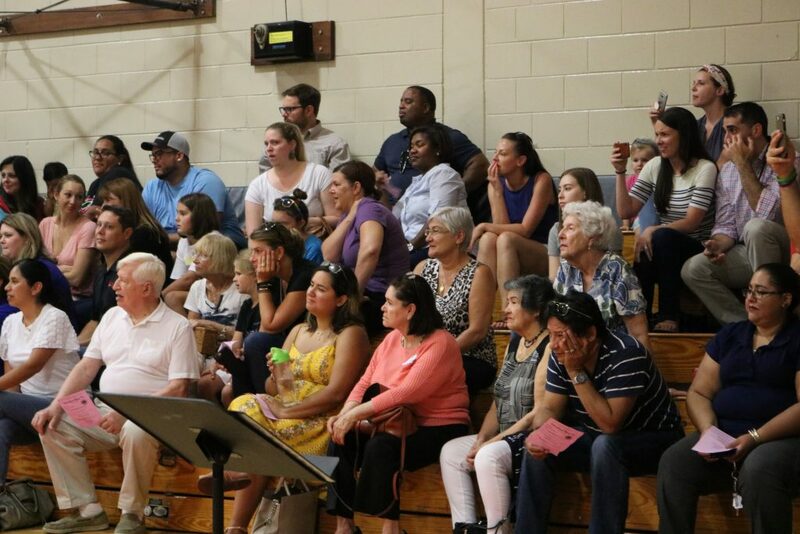 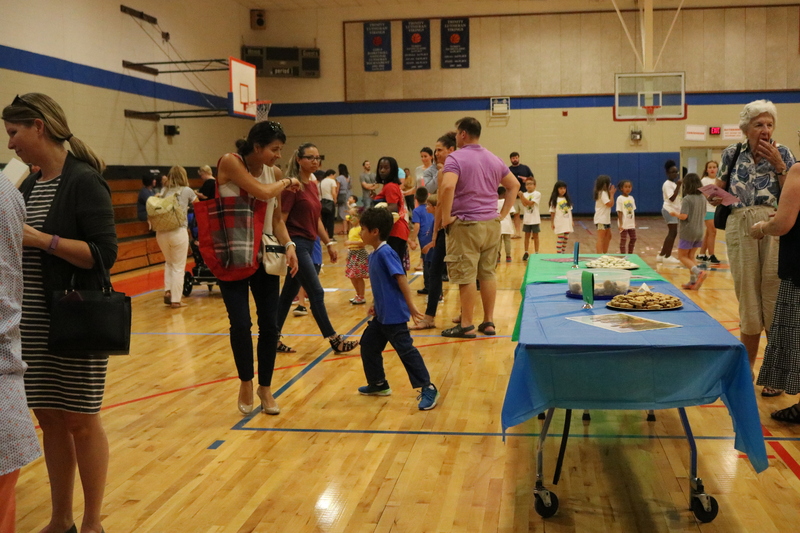 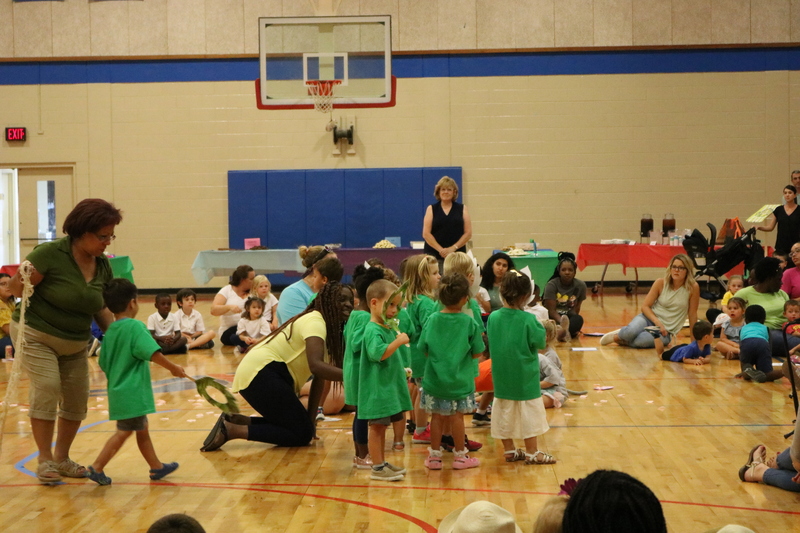 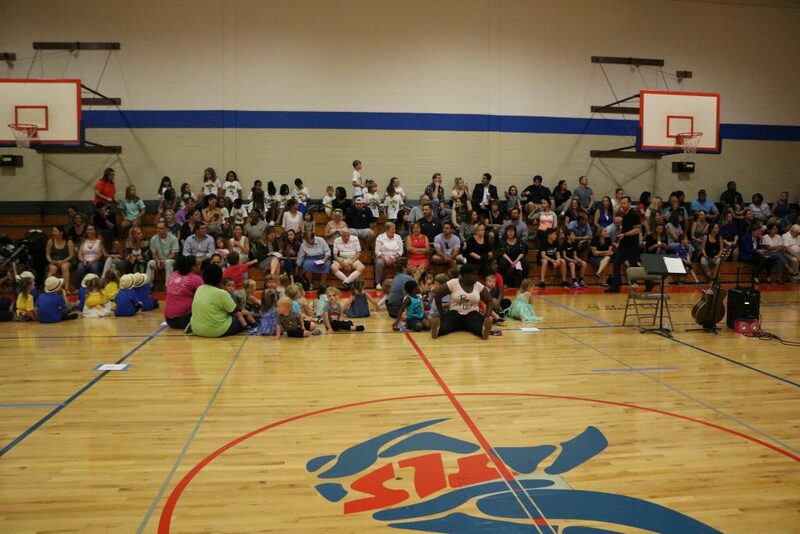 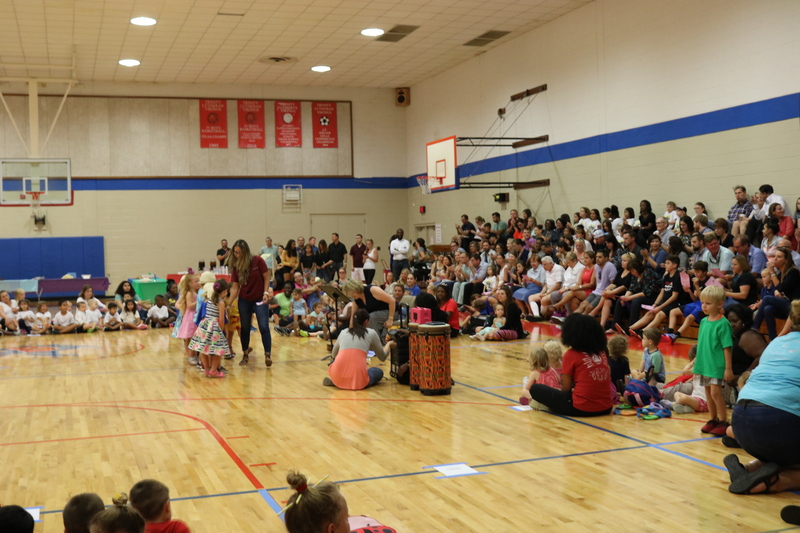 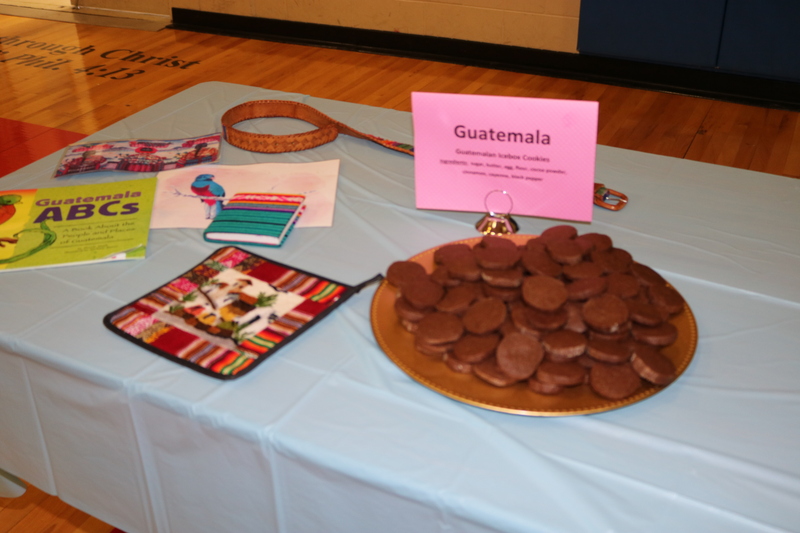 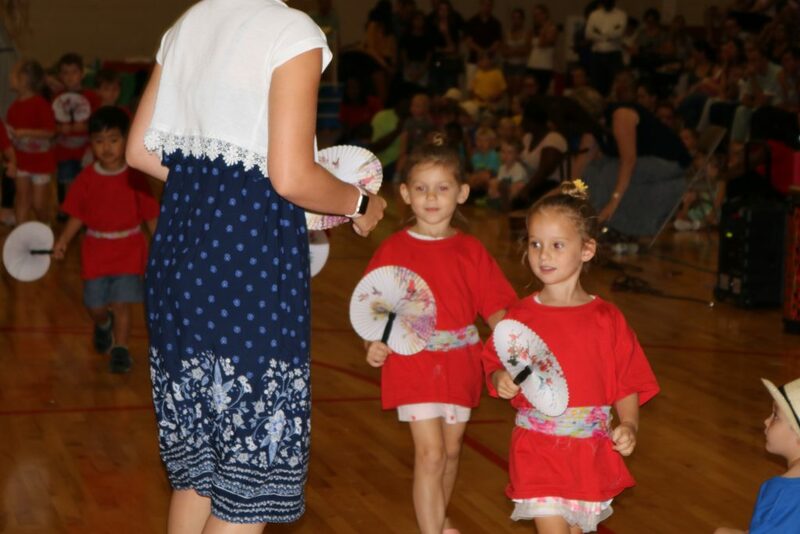 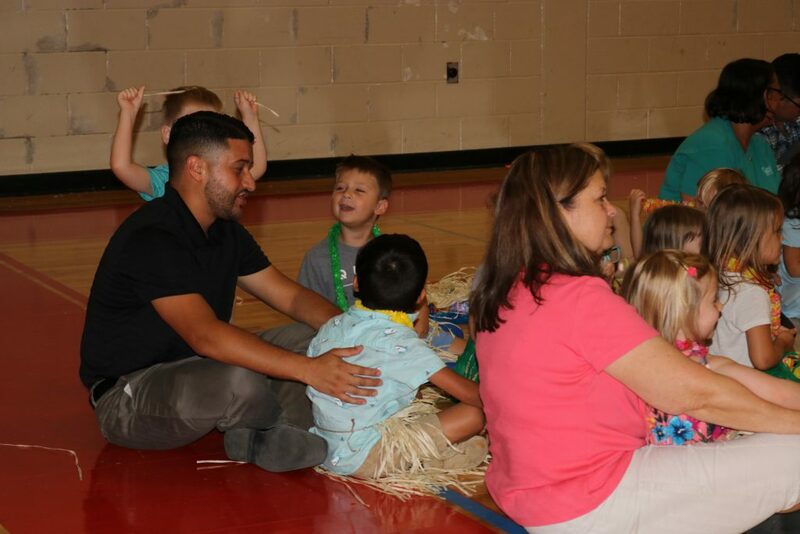 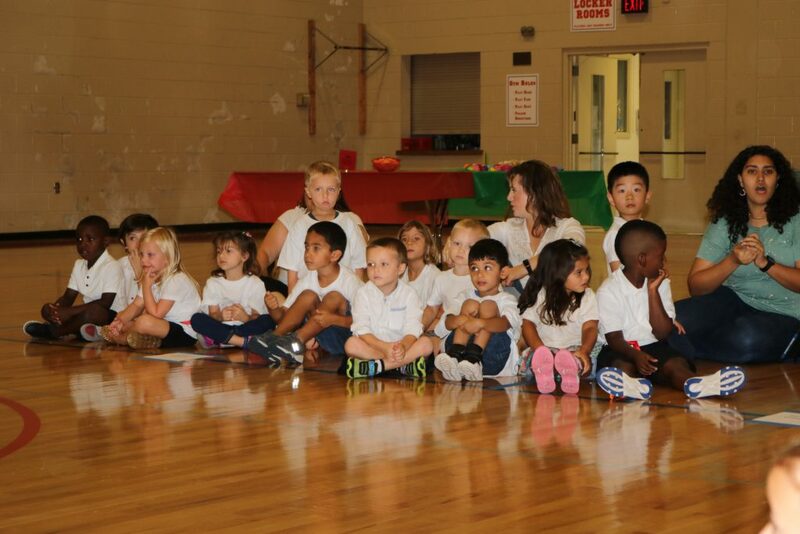 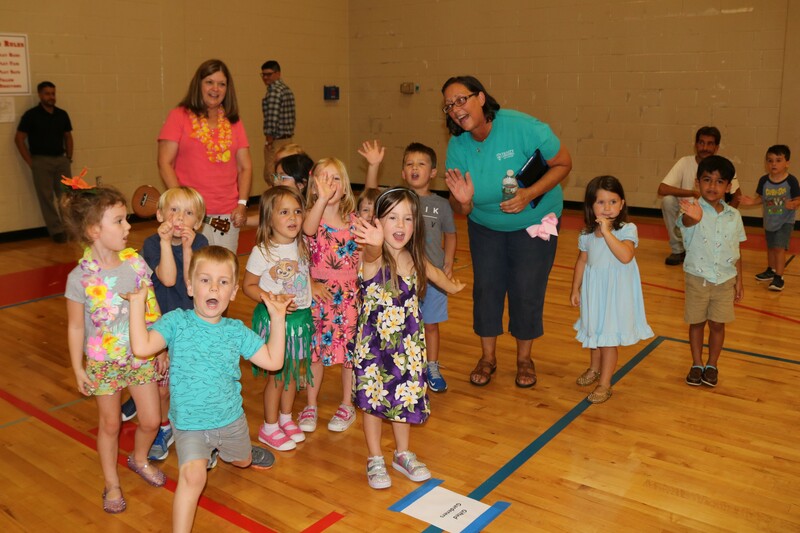 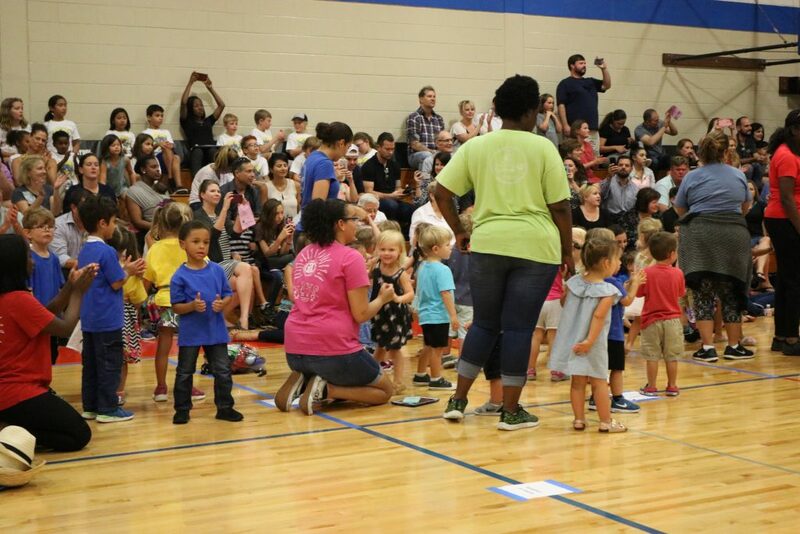 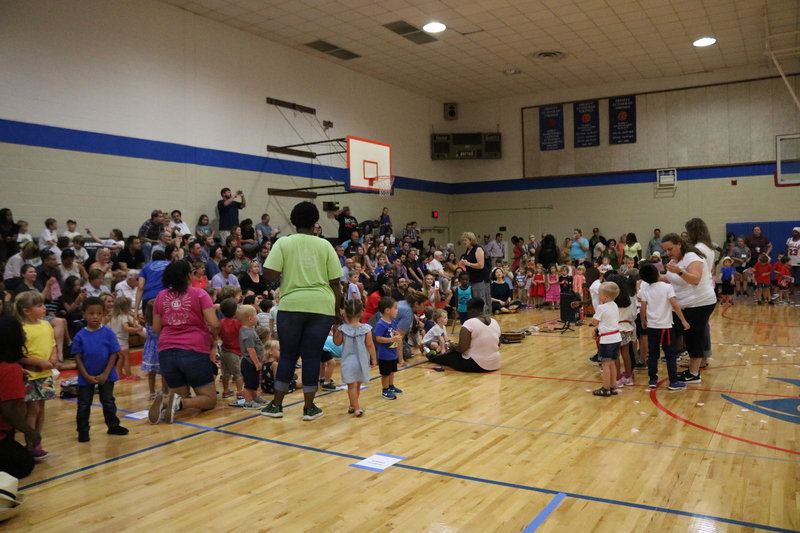 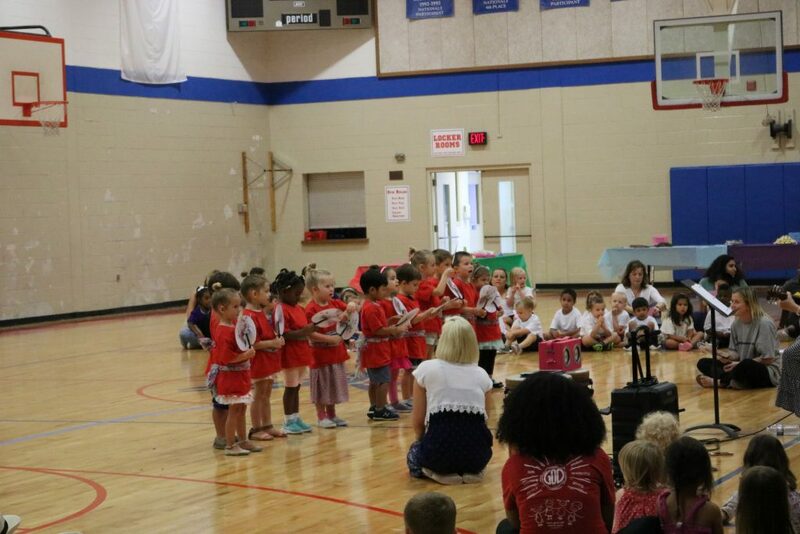 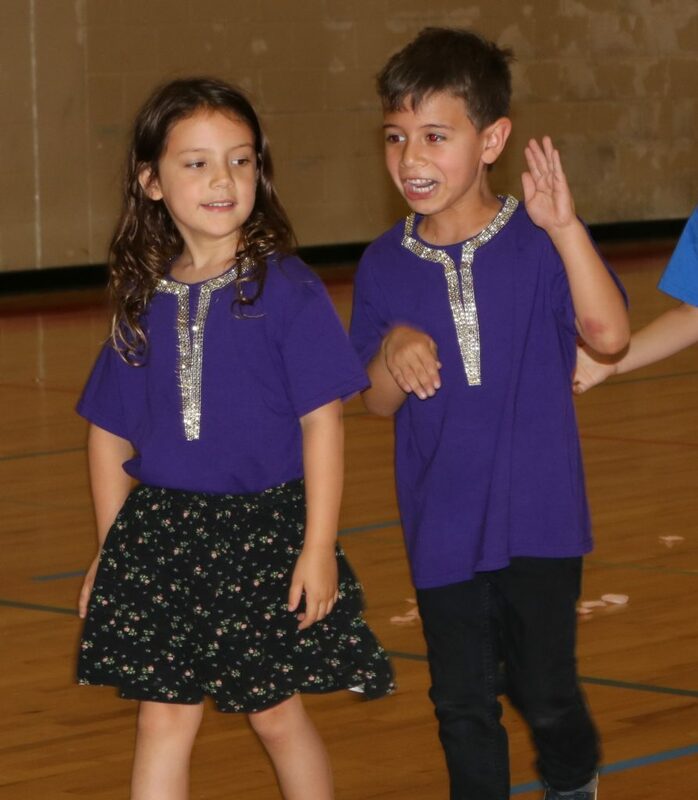 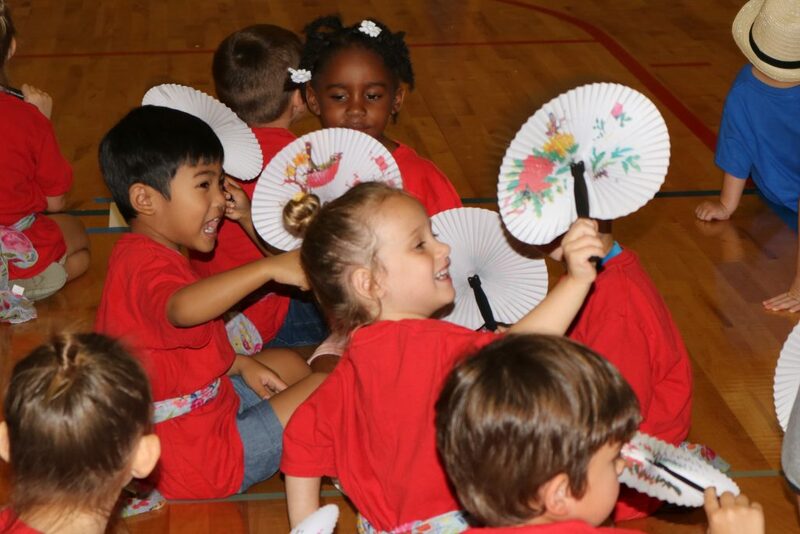 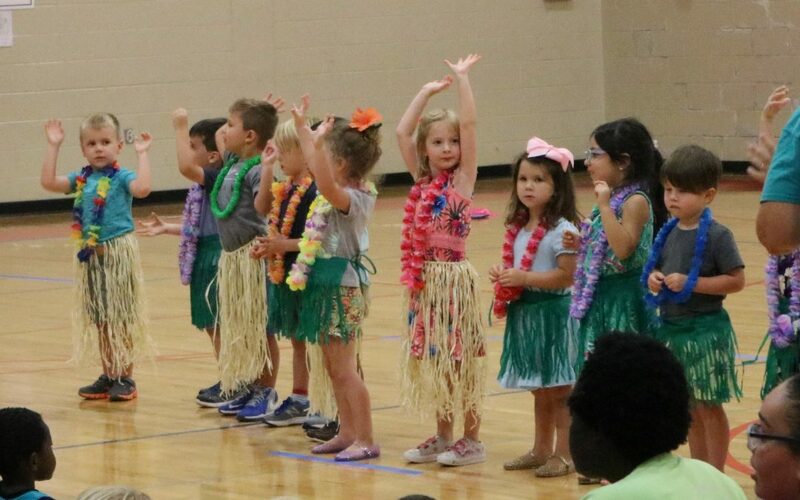 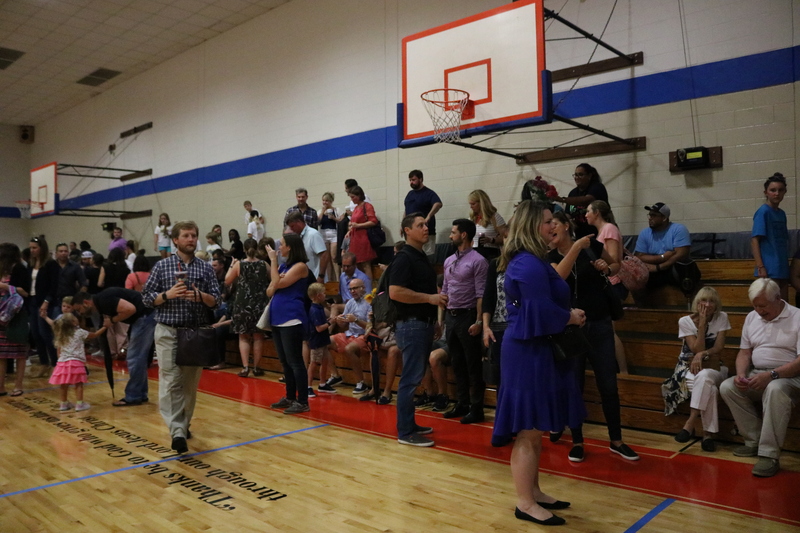 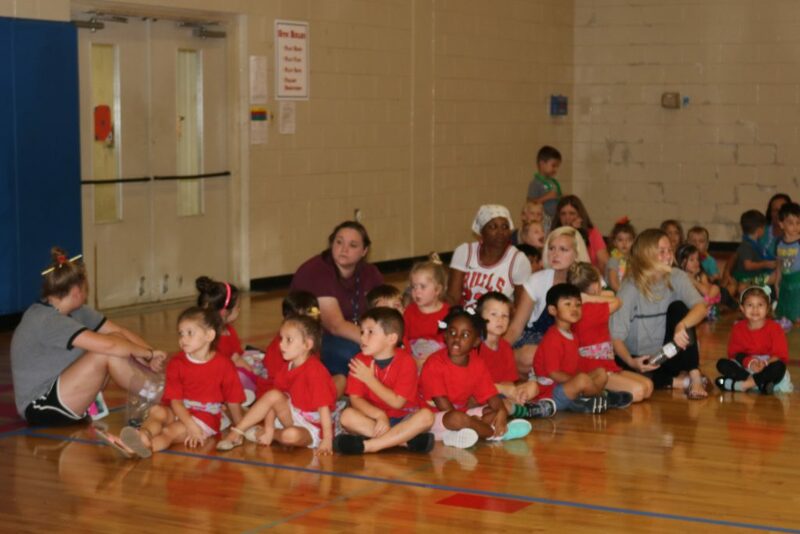 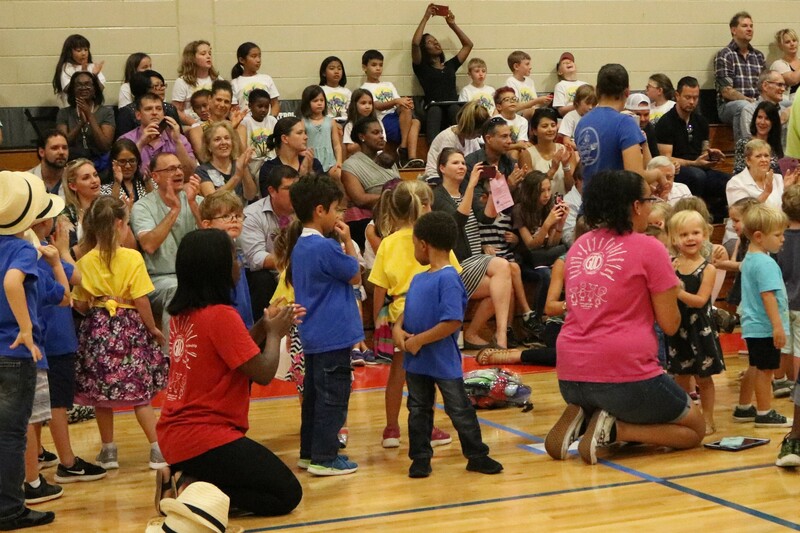 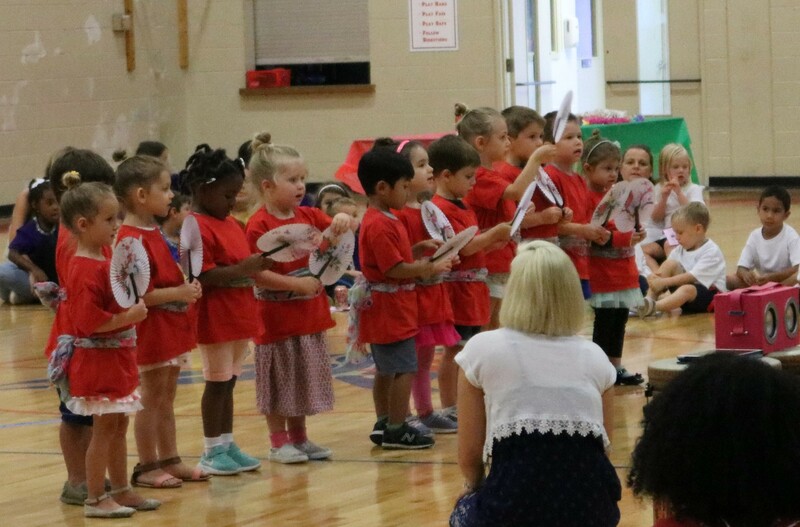 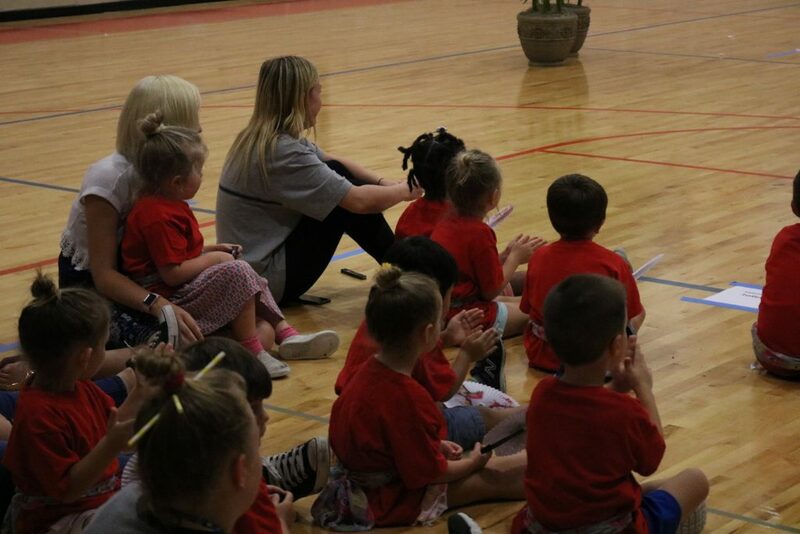 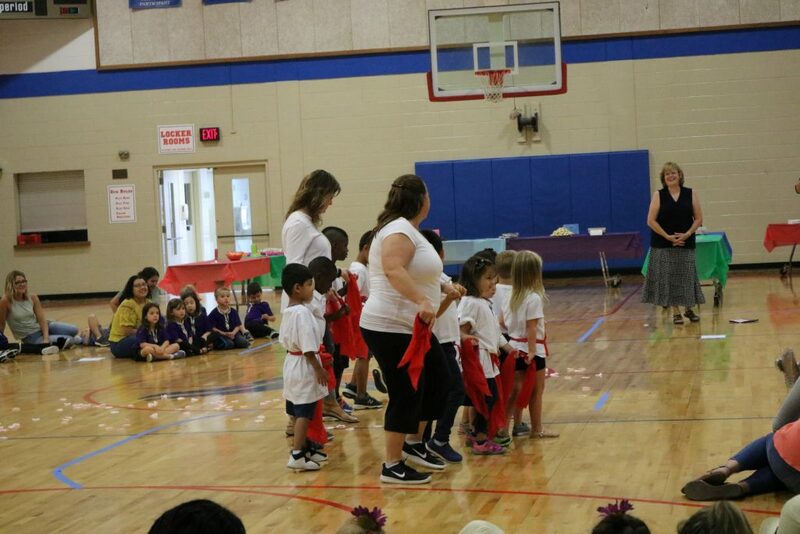 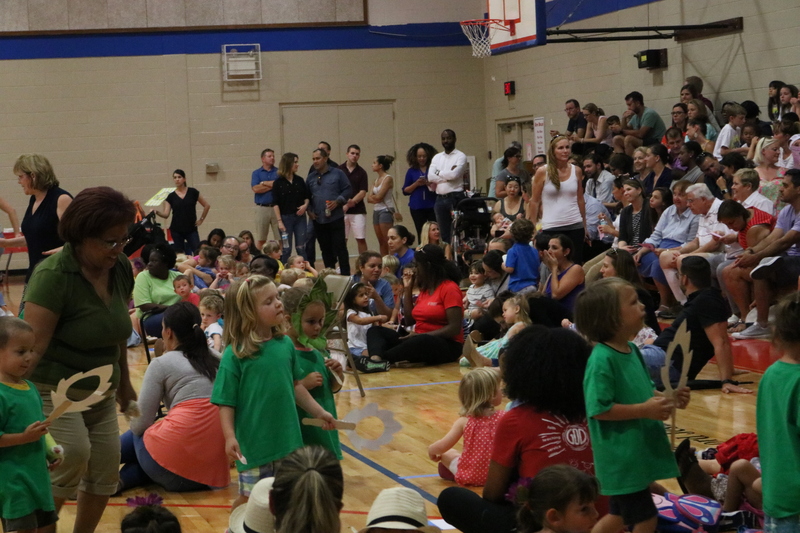 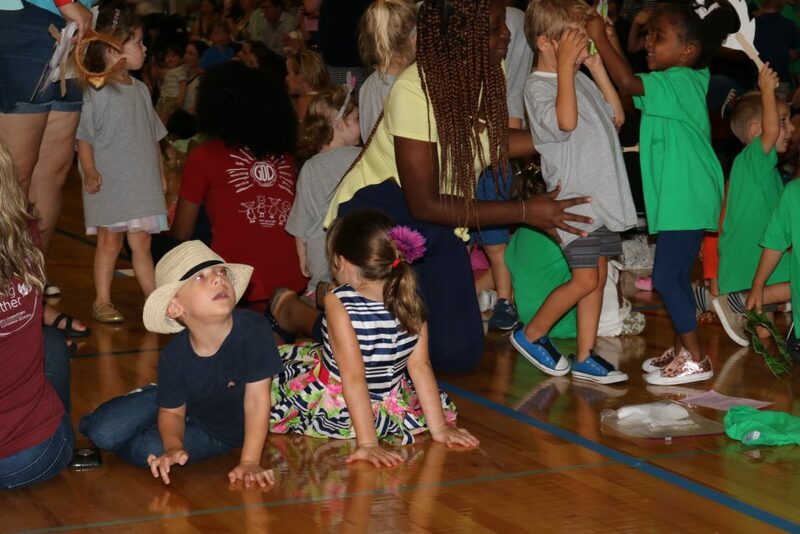 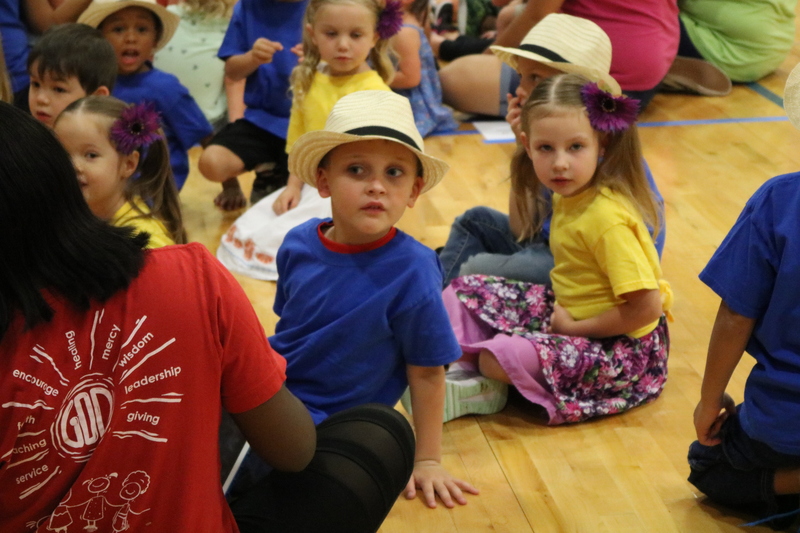 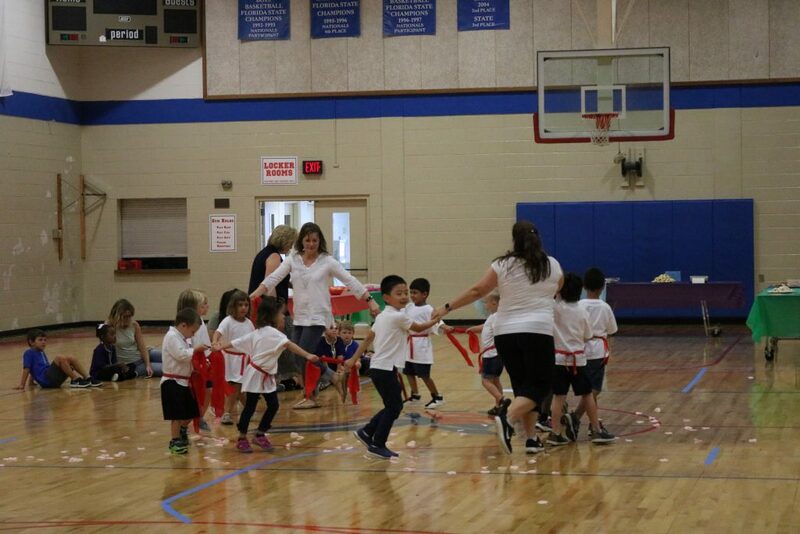 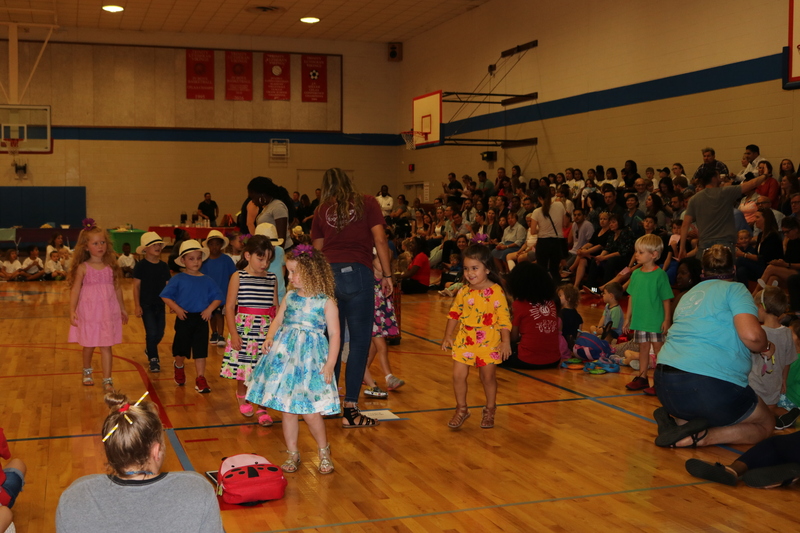 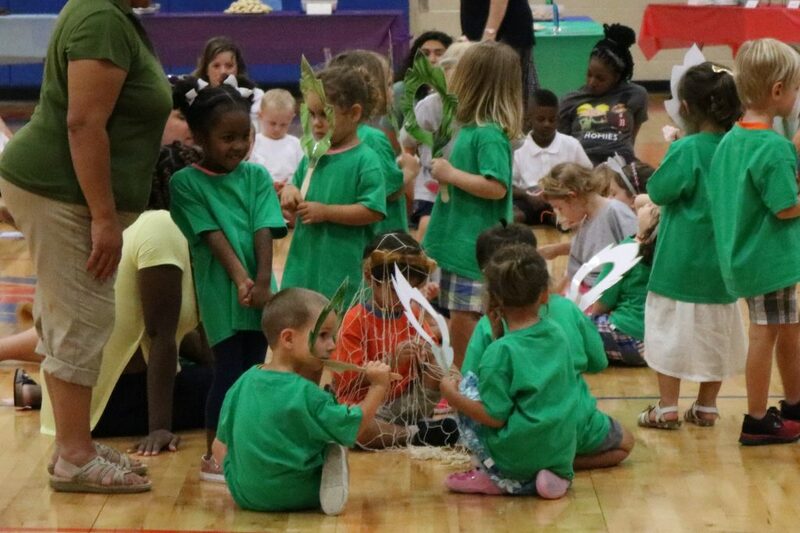 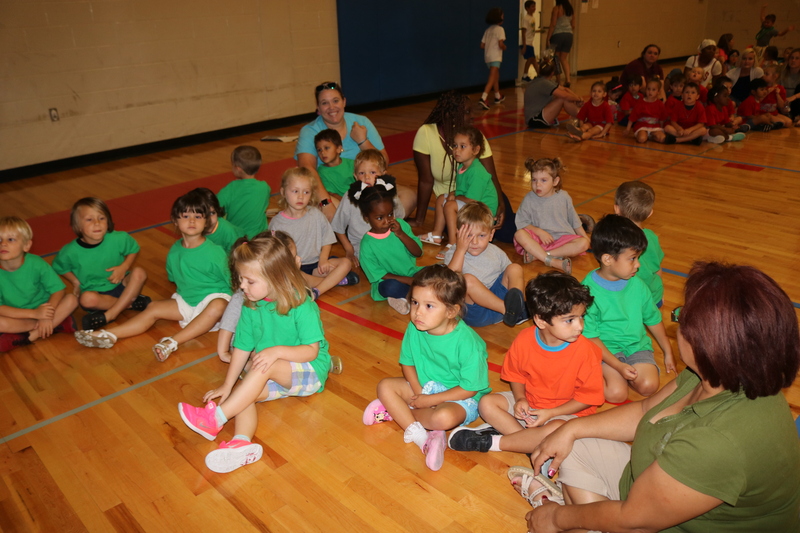 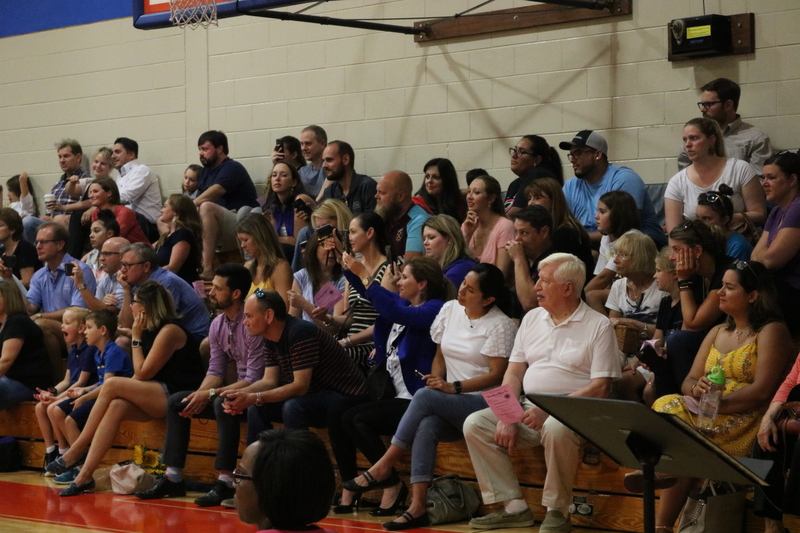 Trinity’s gym was filled with 275 children from Trinity Lutheran School’s Child Development Center along with their teachers and well over a hundred very supportive parents and grandparents packing the bleachers, as the second annual “CDC International Music Tea” took place. 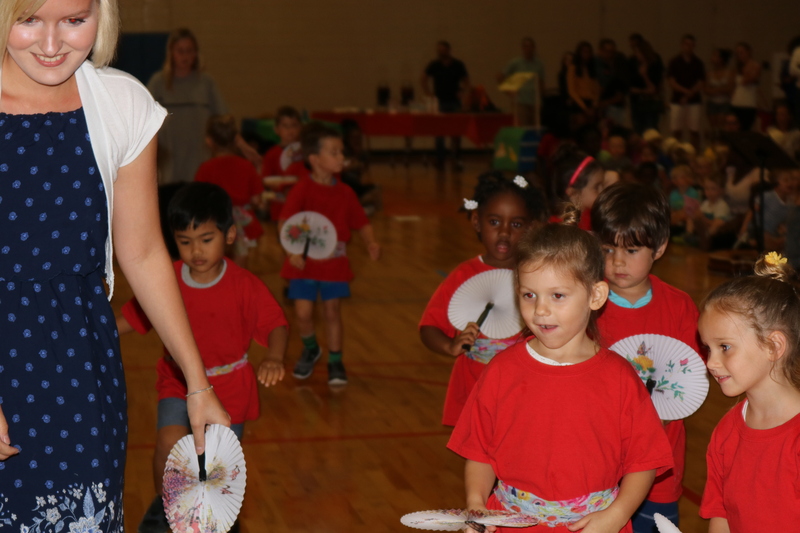 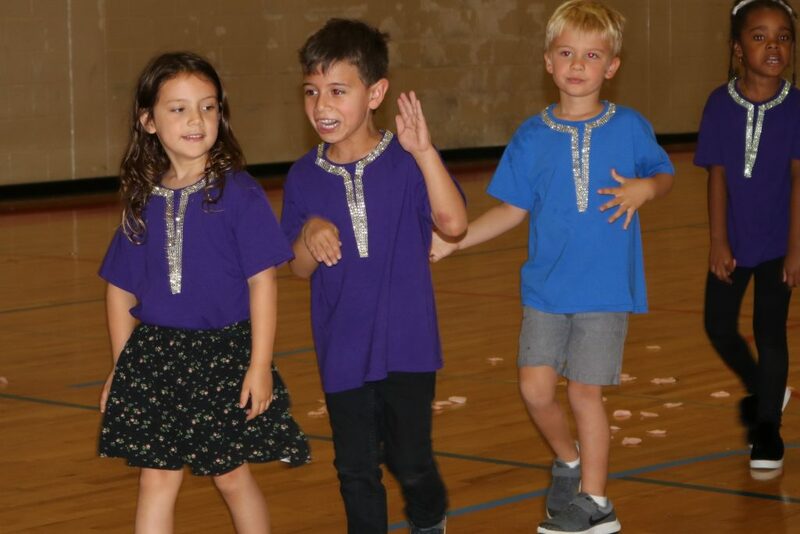 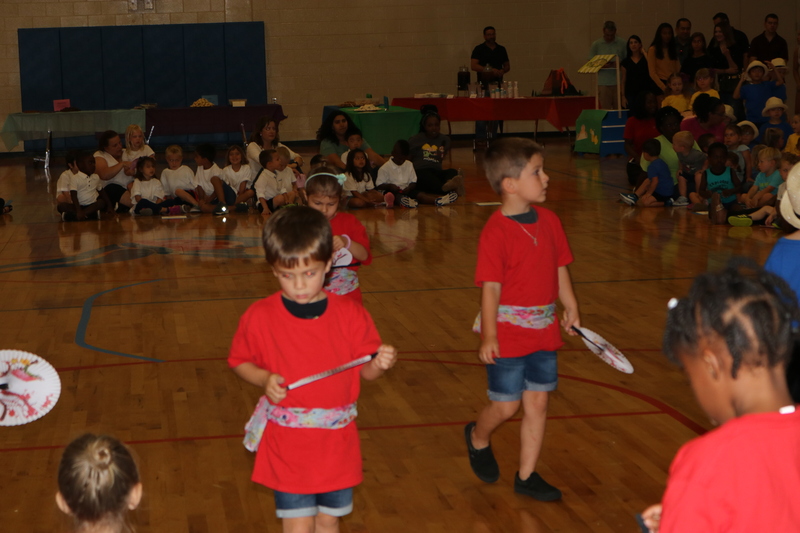 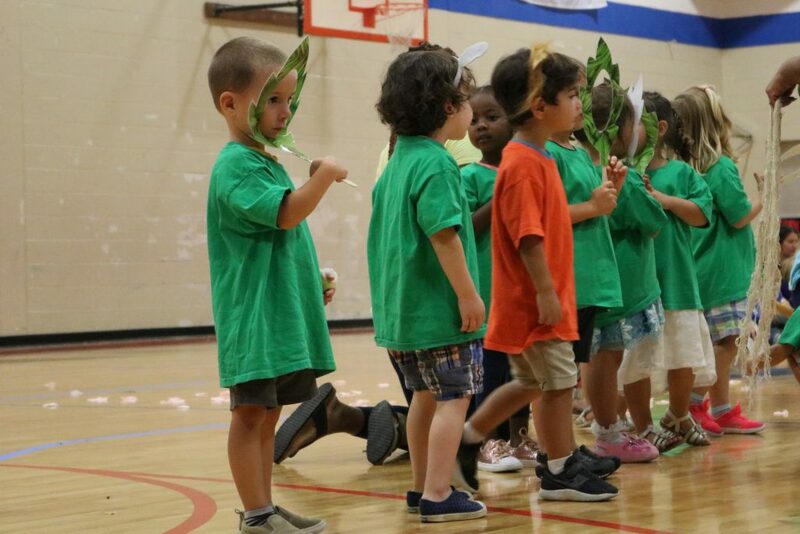 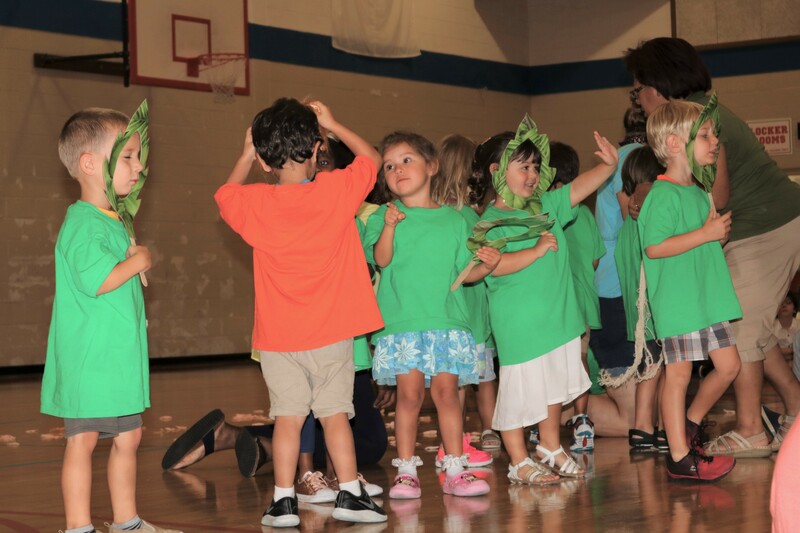 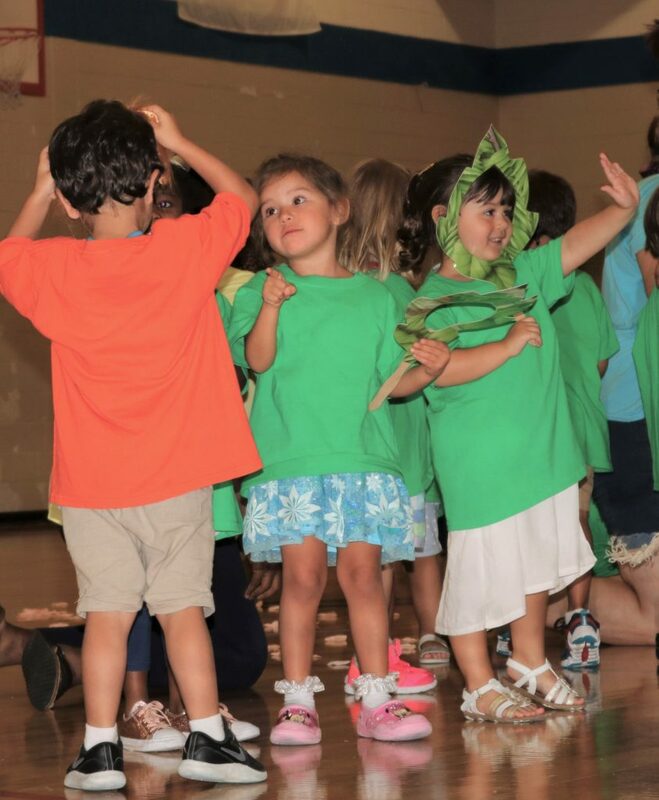 The children were dressed in adorable and colorful costumes representing the six countries that were studied in their music classes this summer. 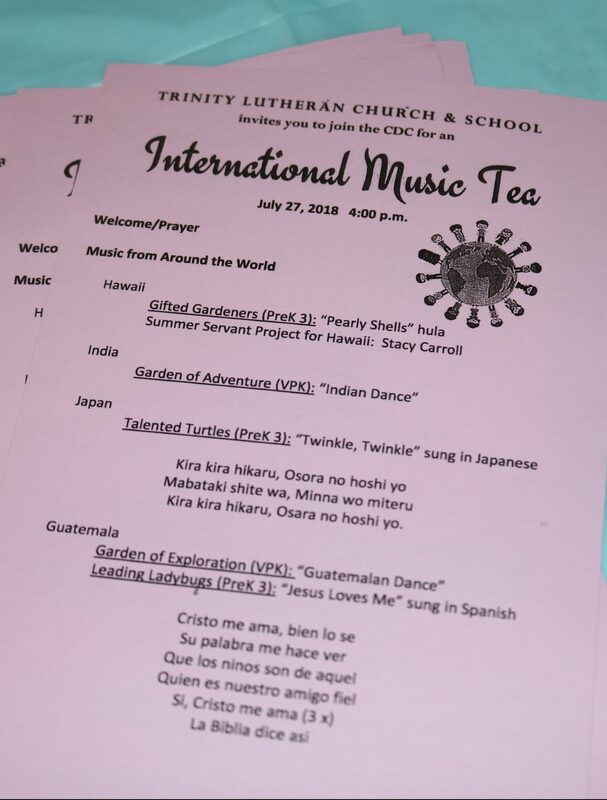 They sang both familiar favorite songs and delightful new songs in Japanese, Spanish, and Swahili. Little feet high stepped to a traditional Guatemalan tune, swayed to a Punjab pop song, and got the whole audience clapping as they sped up to a rousing “Opa!” in “Zorba the Greek”. 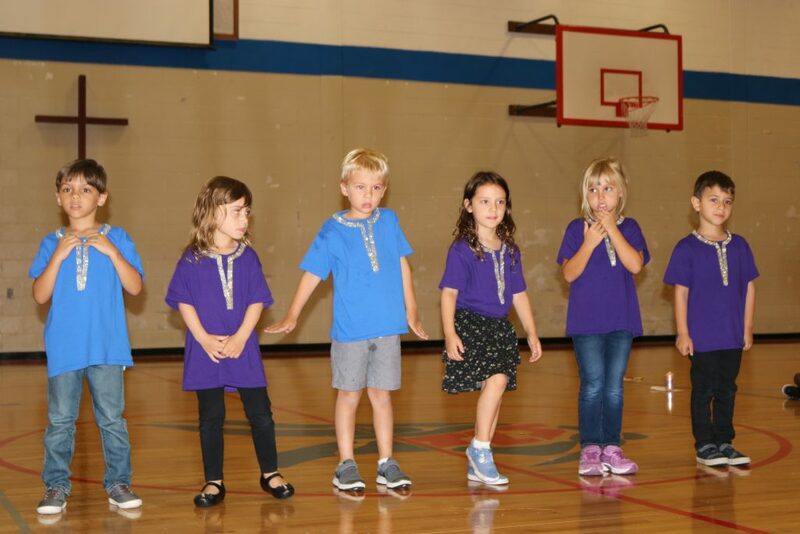 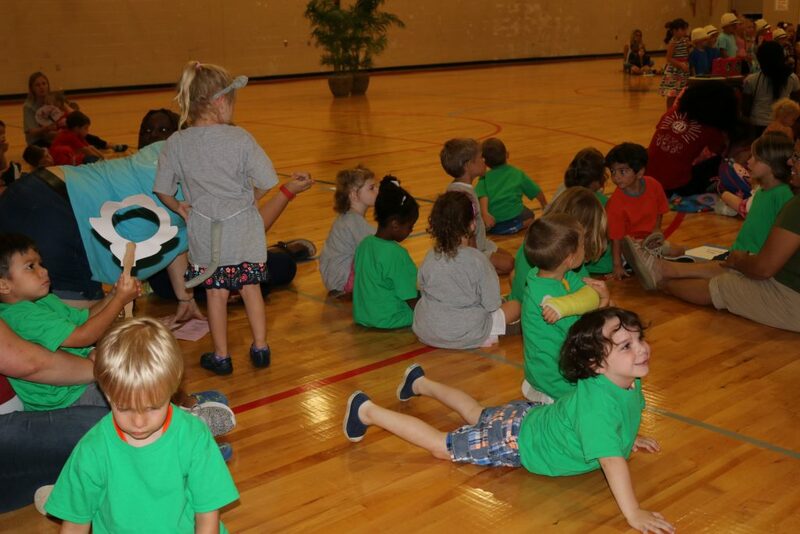 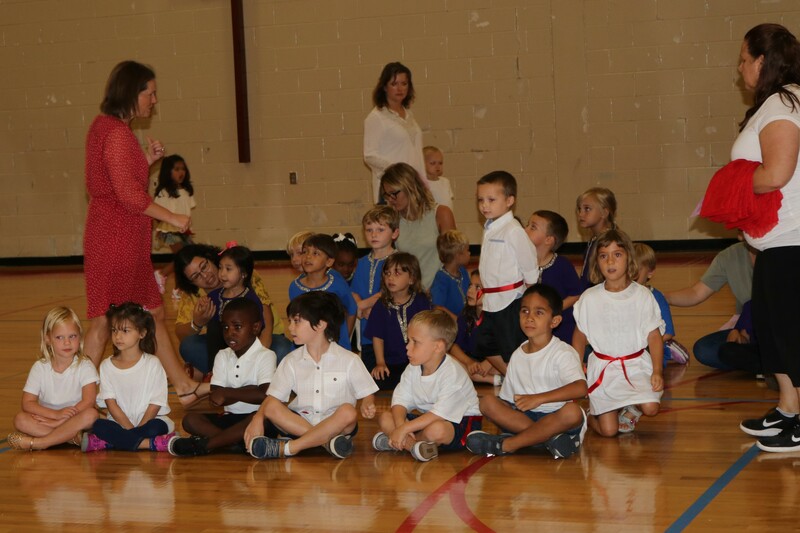 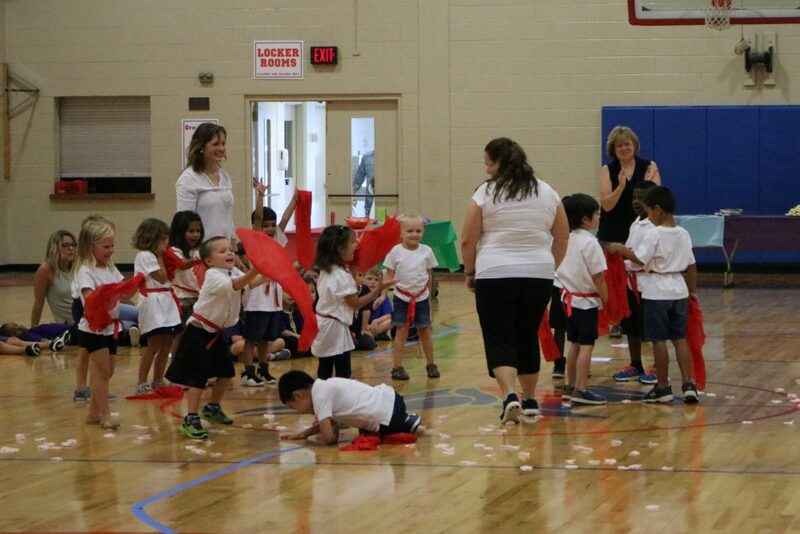 One of our younger classes even acted out one of Aesop’s most famous fables, “The Lion and the Mouse” with lots of planned (and some adorable unplanned) action. 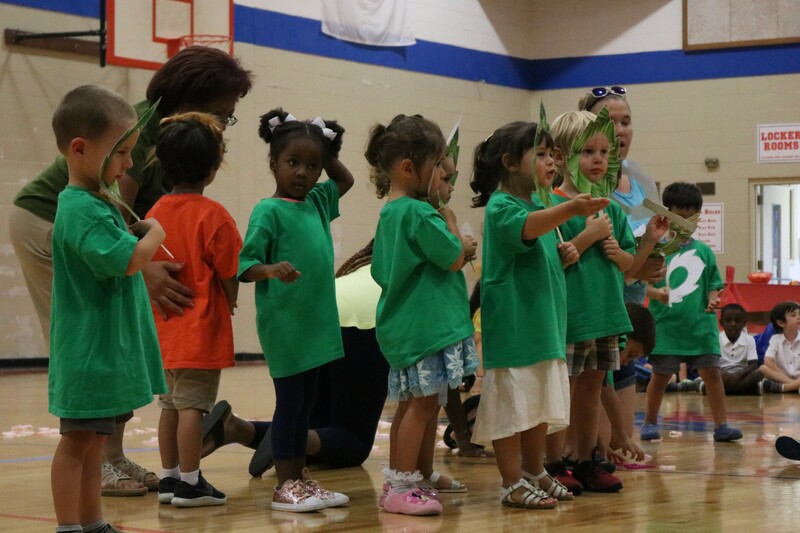 All of the children, from age two to six, came together to close the program with the beautiful song “Go Now in Peace”, choreographed with sign language motions. 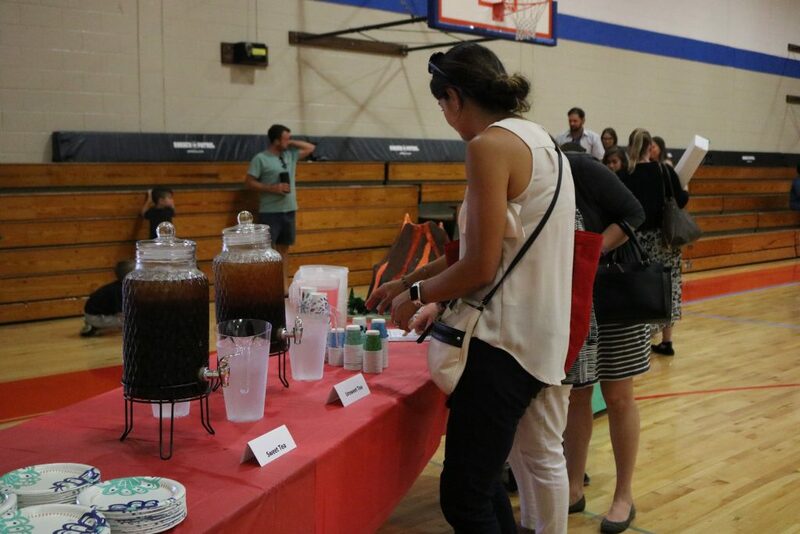 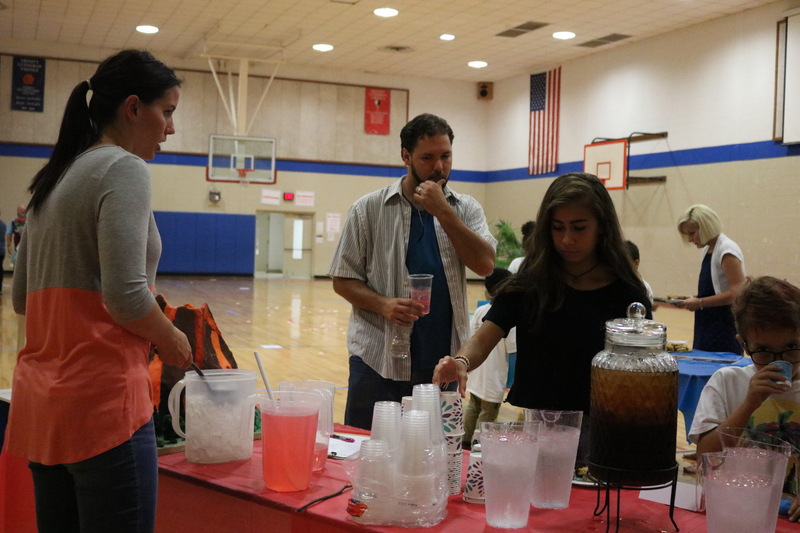 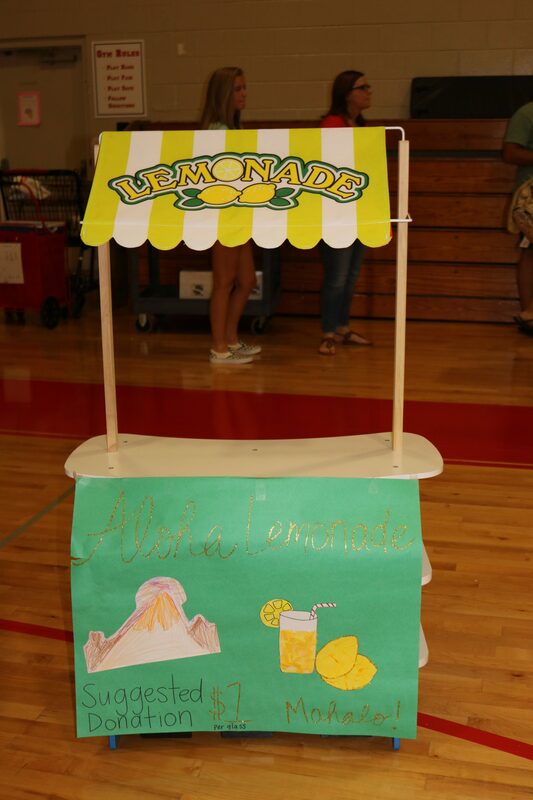 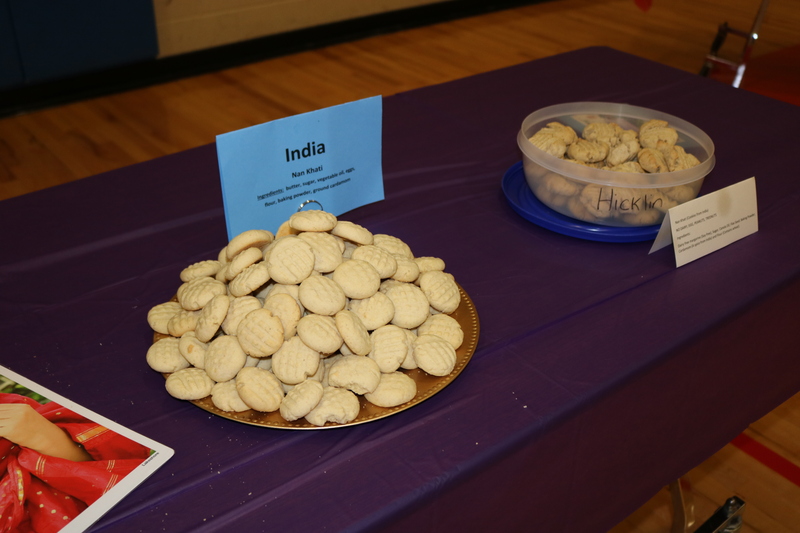 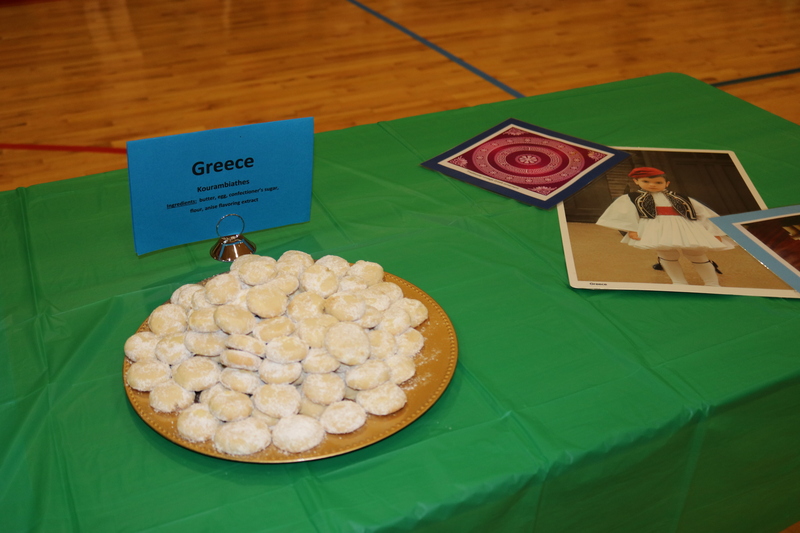 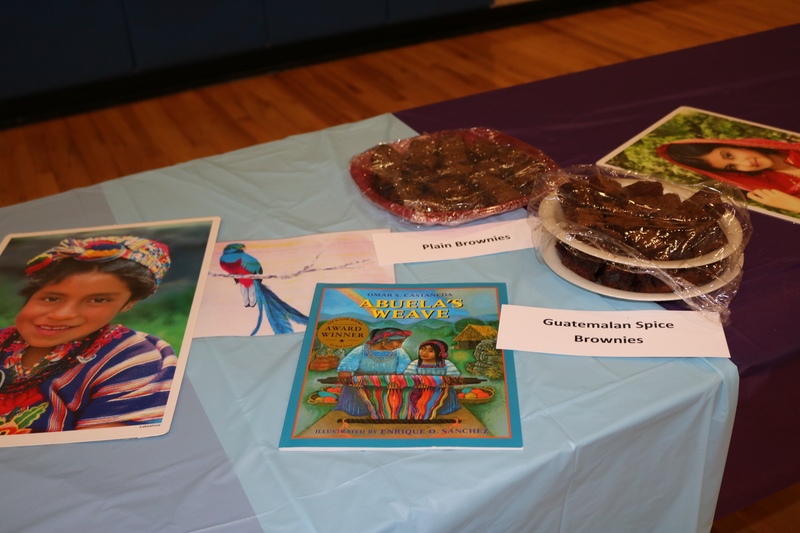 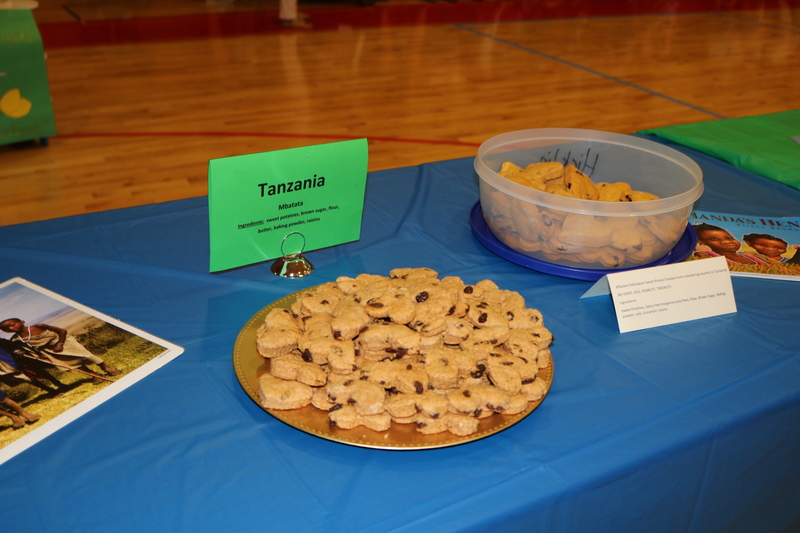 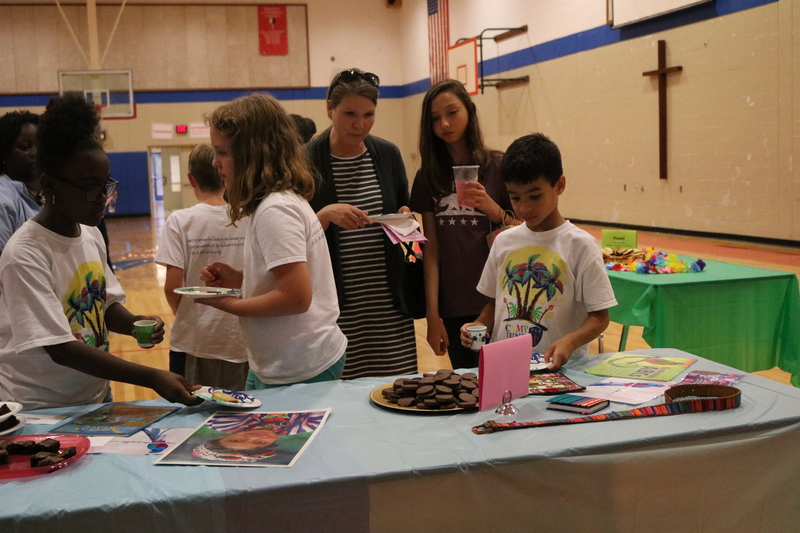 Following the performance, guests were treated to iced tea and cookies baked from international recipes as well as a lemonade stand supporting our Summer Servant Project for Hawaii. 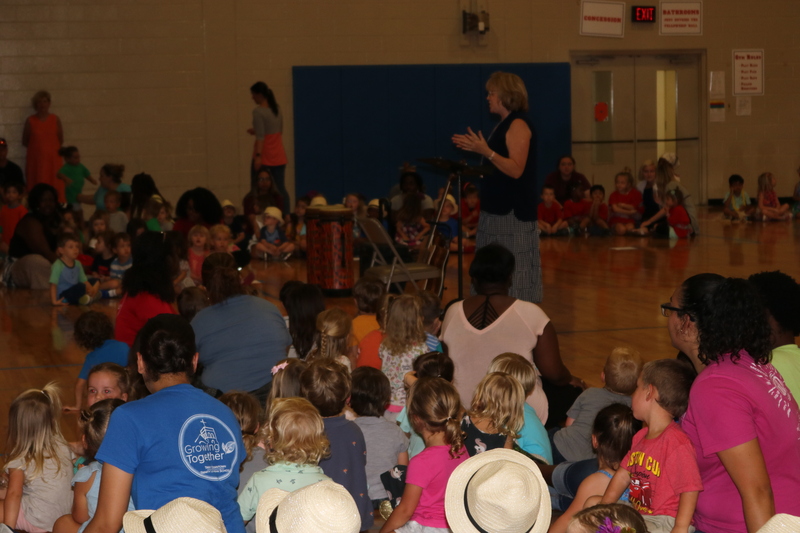 What a fun way to wrap up our summer of learning and celebrating music and people from all over the world that God has created in this wonderfully diverse world! 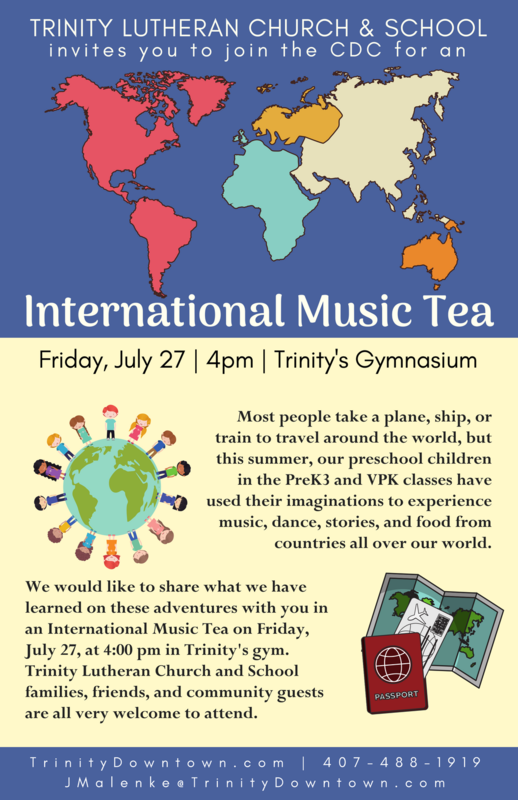 Thanks to all who partcipated to make this so much fun for all of the Trinity family! 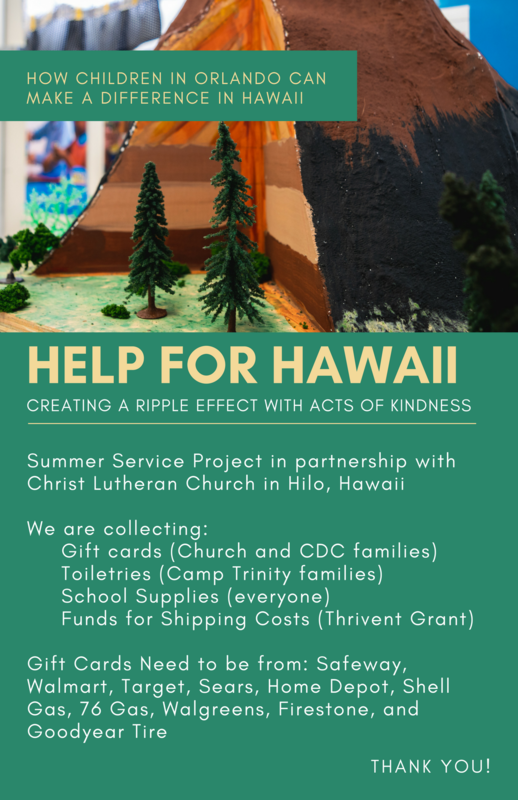 We’ll be collecting supplies for the “Help for Hawaii” initiative through August 5, at which time we’ll pack up everything and ship it to Hilo, Hawaii to be shared with those in need! 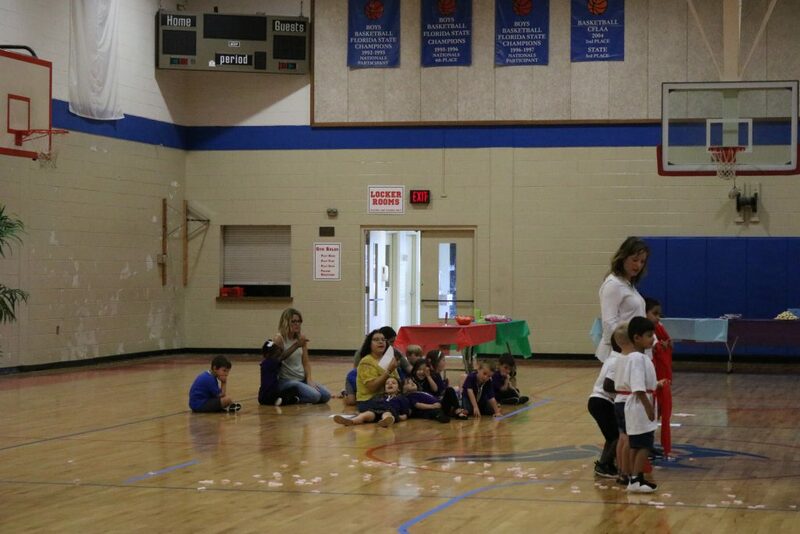 Thanks for taking part in this ripple effect to share the love of Christ with our long distance neighbors in Hawaii!